Over the last 15 years Performance Mechanical Contractors (PMC) has developed considerable Geothermal Plant construction and maintenance expertise. 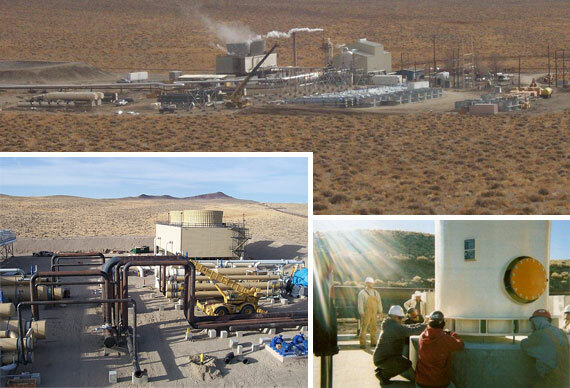 PMC has performed all maintenance tasks on geothermal plants in Southern California, Nevada and Arizona. In addition to routine maintenance, PMC has been brought in during critical shut-downs and has executed ground up construction for small capital improvements. Further, PMC recently completed the turn-key construction of a new 50MW geothermal power plant. Over the last decade, PMC has become the geothermal plant industry leader for installation, construction, and maintenance. PMC has extensive experience with all types of geothermal plants including Dry Steam, Binary, Single, Dual, and Triple Flash. In addition to the recent completion of the Hudson Ranch I (50 MW) triple flash plant, PMC has completed numerous related projects. Over the past 5 years, PMC has managed and constructed various capital improvement projects that are equivalent to five small power plants (67 mw) and over 300,000 linear feet of process piping.